Production method:Brine ammonium bicarbonate method is adopted for the manufacture of light magnesium carbonate in industry. Application:Maliy used as for filling agent and reinforcing agent of rubber, insulation material, plastic and paint. 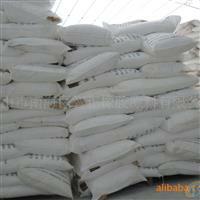 Physical properties:White monoclinic crystal or amorphous powder, non-toxic,odourless,stable in air. Packing and storage:This product is packed with plastic-lined and plastic-coated woven bags, 20kg per bag. This product should be kept from breakage, moisture, pollution and contact with acid.